You may be forgiven if you don’t know who Blantyre woman Janet Maxwell was. She was however, a woman with a passion for Blantyre and community wellbeing. A feeling she had until her death in 1935. At a monthly meeting in 1935, of the Fifth Lanark County Council the Clerk Mr J.W Welsh read a letter from Dykes Solicitors in Hamilton intimating the wishes contained in Janet’s will. Mrs Janet Maxwell of Greengairs Cottage, Blantyre had left the sum of £500 which had express wishes that the interest of that sum was to be paid annually to Mrs Jessie Aitkenhead of Hunthill Road, and every year until her death. At that point, the sum was to revert to the council and to be used solely to create a bandstand in Kirkton park. Janet got her wish of helping her friend, even whilst she herself had passed away, and then of course to help the community by creating a venue for Blantyres many bands. The council agreed at the meeting to put the money in trust and to act on Janet’s wishes. Mrs Maxwell was the wife of Mr A.B Maxwell, who for 35 years had been a councillor for Blantyre Parish. Just 2 weeks before her death, Mrs Maxwell had given £1,000 to the recently created David Livingstone Centre, for the construction of the World Fountain, in memory of her husband. Mrs Aitkenhead, benefited for 3 years from the interest Janet had left her. 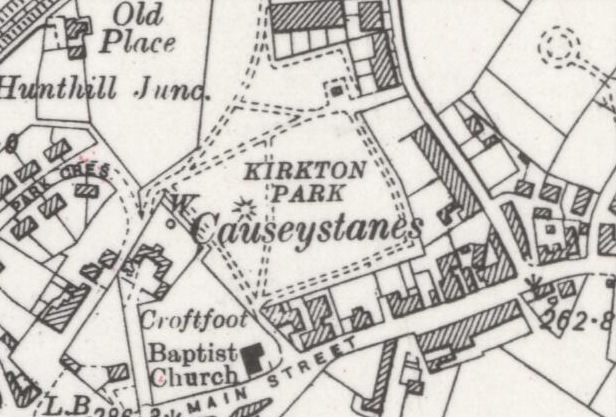 In 1938, the bandstand was constructed in Kirkton Park, although sadly, is no longer there today.